I am currently with SharePoint 2010 on my development machine on Windows 7 with SqP1. After having SharePoint installed for a couple of days PowerShell was working absolutely fine but now when I need to do something with scripting it has stopped working. I have already given SharePoint_Shell_Access permission to the farm account on SharePoint Config. and Admin Content both databases. 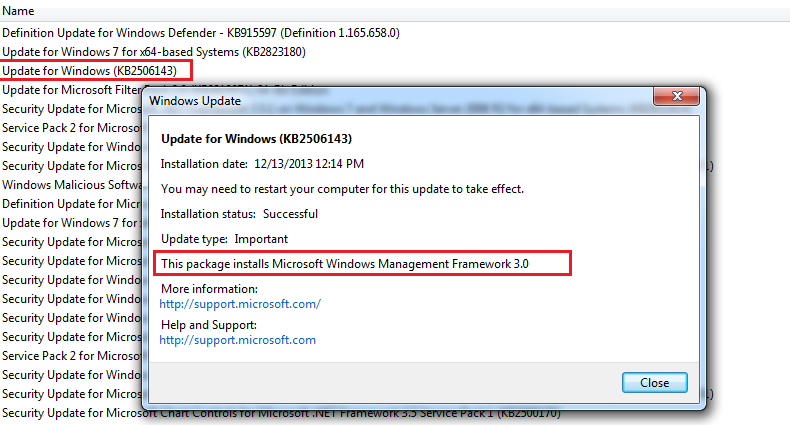 Now how come it is upgraded to PowerShell 3.0? To resolve the issue quick: I changed PowerShell start menu short cut path and added –version 2.0 switch parameter, below is the complete path with –version 2.0 switch. C:\Windows\SYSTEM32\WINDOWSPOWERSHELL\V1.0\PowerShell.exe -version 2.0 -NoExit " & ' C:\Program Files\Common Files\Microsoft Shared\Web Server Extensions\14\CONFIG\POWERSHELL\Registration\\sharepoint.ps1' "